Apprentices start at 60% of the journey-level wage. During the three- or four-year program, apprentices who show progress are eligible for increases at regular intervals. Apprentices also receive benefits during the program. 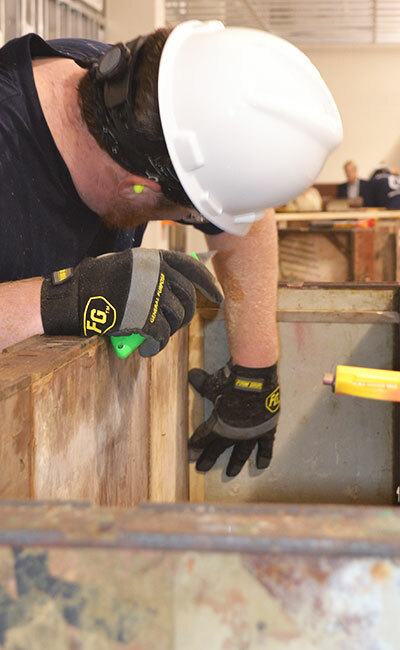 Upon completion of 640 hours of class time for carpenters or 800 hours for millwrights, and a minimum of 1300 on-the-job experience each year, the wage and benefit package increases to the journeyman level. Wages and benefits vary by Local for carpenters and millwrights. Value of training apprentices receive at no cost to them, paid for from a fund that veteran carpenters and millwrights support. Current minimum wage per hour. What most construction workers around here make per hour. What union carpenters and millwrights earn per hour. Average weekly wage for this region. Average weekly wage for union carpenters and millwrights. Average yearly wages for a first-year union carpenter/millwright apprentice. Average yearly wages for a 4th year union carpenter/millwright apprentice. Average yearly wages for a journeyman union carpenter or millwright. Contractors pay health insurance and pension benefits for union carpenters and millwrights. Union carpenters and millwrights have protection under their collective bargaining agreements.